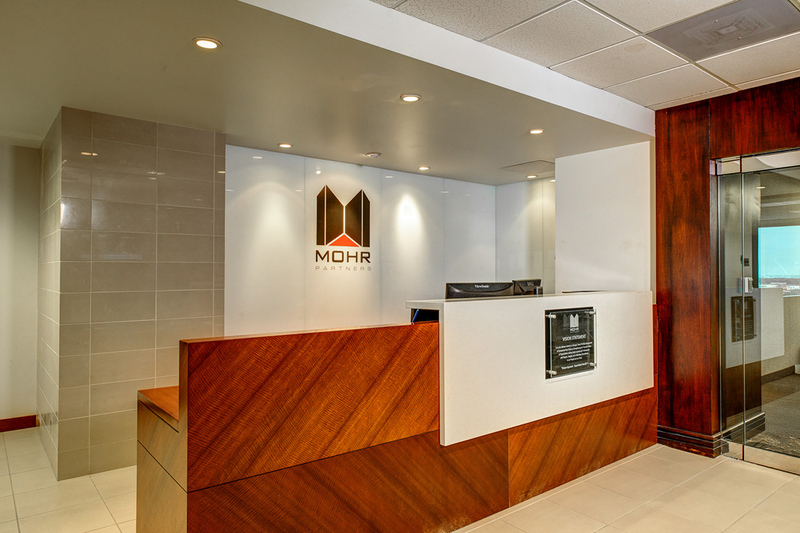 Mohr Partners, Inc. (MPI), a global corporate real estate services firm, wanted to renovate its 15,000-square-foot Dallas office location. 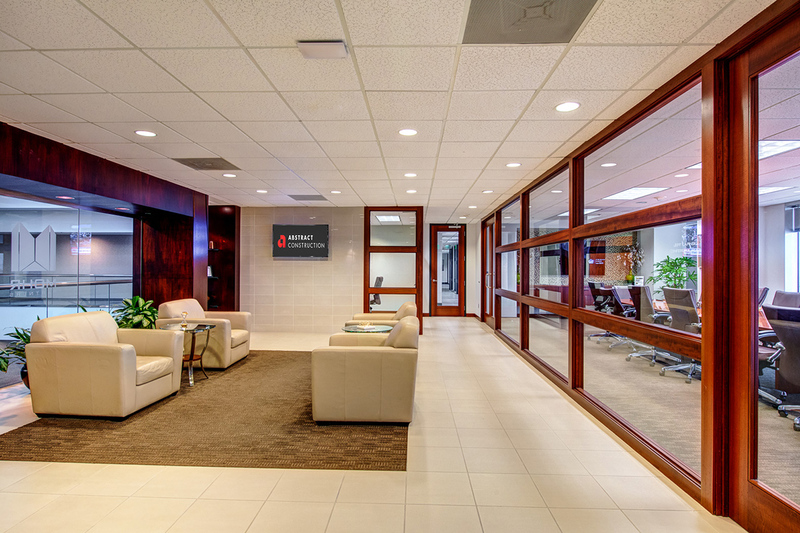 New ownership was the driver for the $400,000 project that called for a refresh of the interior design, and a remodel of select office space and common areas. Abstract Construction was engaged as the general contractor, and Entos Design was the interior architect and designer. 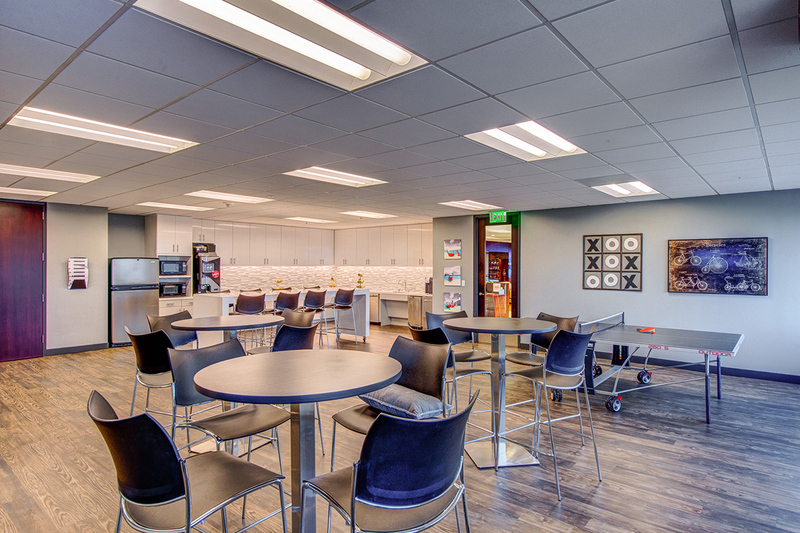 Because the MPI office was occupied by employees during the work week, the renovation was a phased project that had to be completed at night and on the weekends. 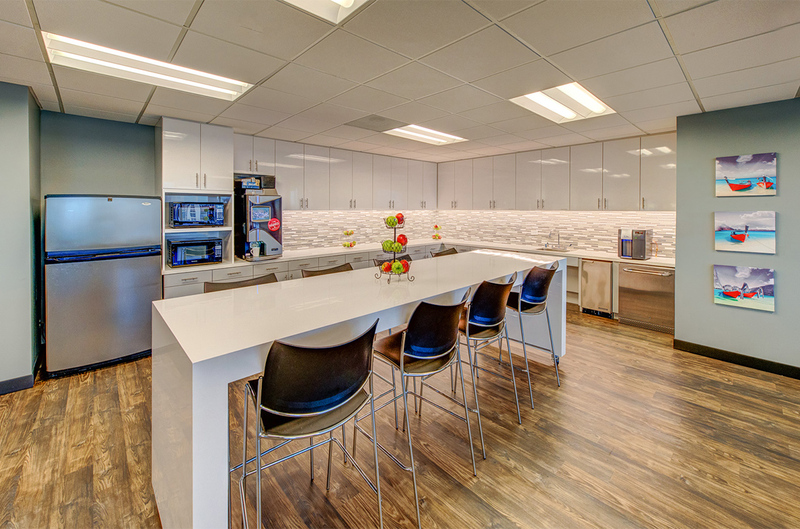 Abstract Construction created a detailed schedule of project tasks and completion dates to ensure each phase was finished on time. Abstract Construction was charged with realizing the client’s vision for a traditionally designed work environment that reflected the brand’s signature elements in a modern way. 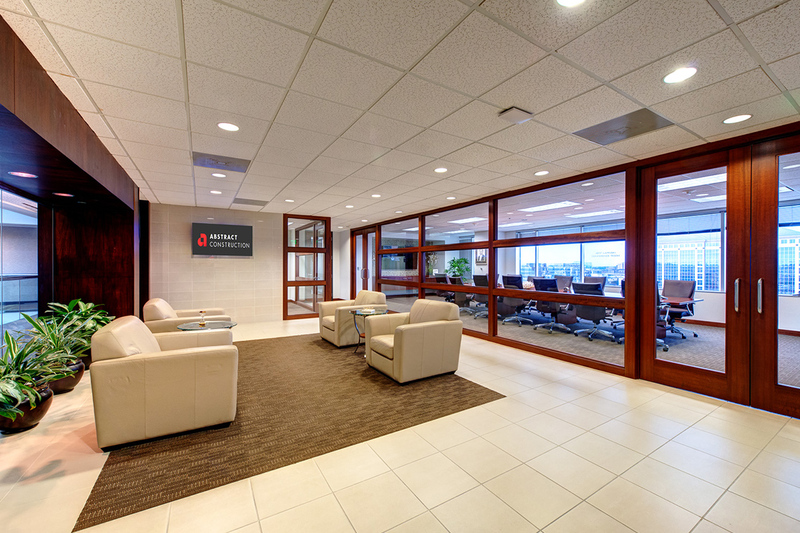 From new paint to new carpet, every area was updated to the brand standards. 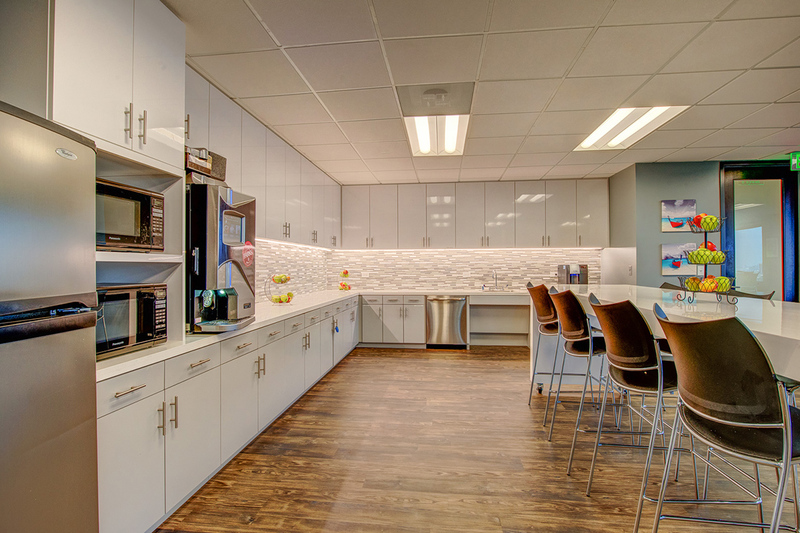 The team also remodeled the breakroom and kitchen to include new tiling, furniture, and accessories. 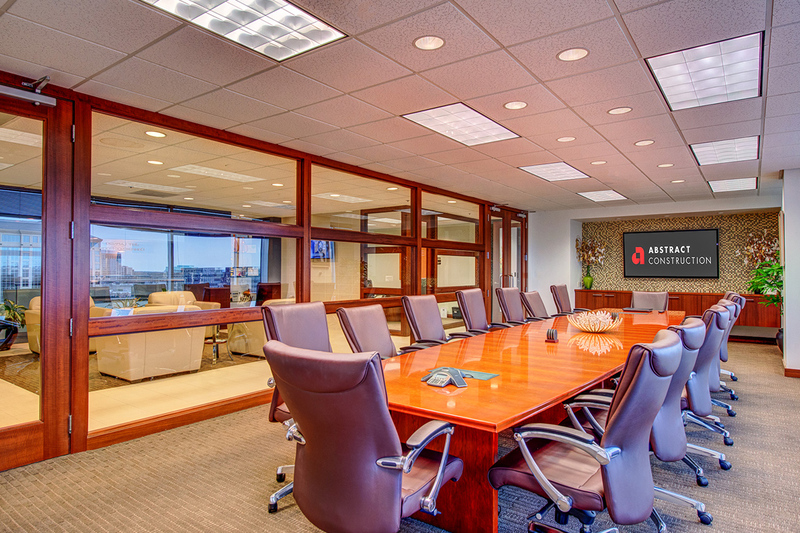 The conference room and adjoining seating area were also updated. 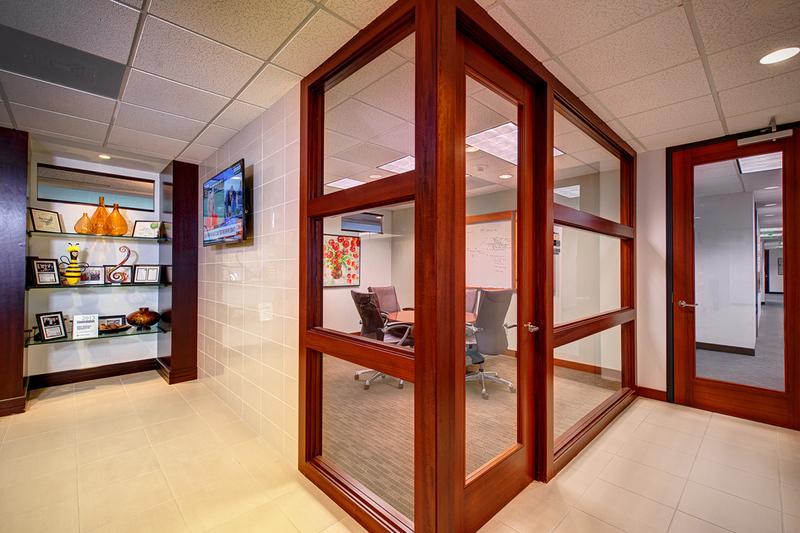 The project also called for new millwork and a reconfiguration of the executive offices. 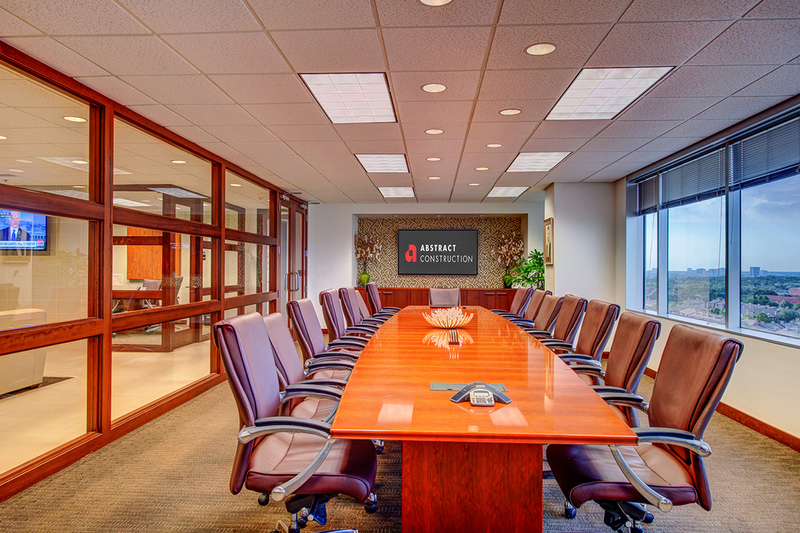 Abstract Construction managed the project from beginning to completion, overseeing all subcontractors to ensure deadlines were met. MPI and Abstract Construction have worked together on several projects over the last few years and each time Abstract delivered the project on time and on budget. The client continues to be happy with the project execution and results.